It is getting cold and chilly again. 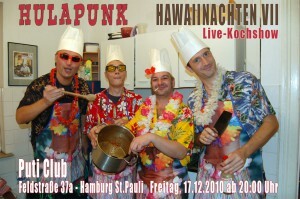 Seems like Hawaiinachten is around the corner. This Year it will happen at the PUTI CLUB (Feldstr.37a/Karo Viertel) on December 17th. Like everytime we have made up a SPECIAL EVENT for you. 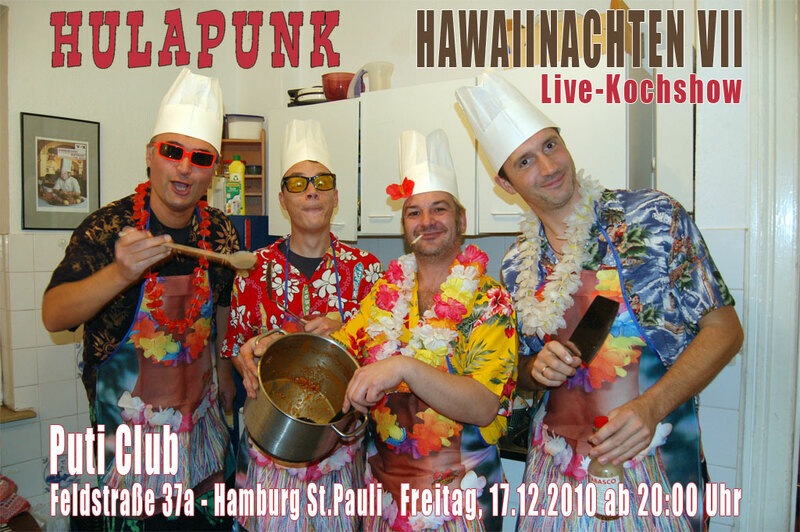 LIVE COOKING with HULAPUNK.